In the UK, block paving has become the number one choice for driveways because of a number of factors including ease of maintenance and cost. There are many block paving designs and patterns available to choose between, ensuring there’s something that’s suitable for your own project. What’s more you’ll be able to set your home apart from the crowd. 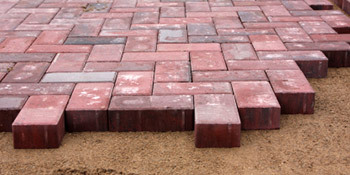 Paving blocks will also come in a range of thicknesses, often between 50mm and 80mm. 50mm thickness is suitable for domestic applications such as driveways, whilst 60mm and above would be needed in heavy duty areas. When block paving is installed properly, you’ll have a finish that’s easy to maintain and is often cleaned by natural rainfall. If in the future you need access to the underground services it’s easy to replace the blocks and causes little inconvenience. Depending on your personal tastes and the budget allocated to the project, you’ll be able to find something that meets your needs. On top of this you’ll be able to add specialist designs including kerbings and edgings to create a decorative look. With the installation of block paving you have a practical investment that is believed to even add value you your home. It helps to make better use of your property’s exterior too, enabling you to utilise the space. The design and manufacture of block paving ensures it has a long life expectancy. When properly installed and maintained it’ll be a lasting feature for your property in many years to come. Block paving provides a lasting appeal for your front garden, with the convenience of moving your car off the road, increasing safety. If you’re interested in block paving prices, complete our quick quote form and receive up to four free quotes from vetted, reputable and local block paving suppliers. Project: Block paving drive way. Currently fits 4 cars. Project: 3 car driveway leading onto the back garden. QUOTATIS FOUND THEM QUICKLY MUCH QUICKER THAN I COULD.